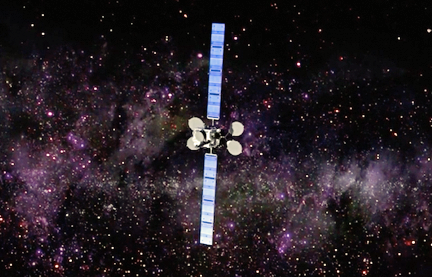 VT iDirect, Inc. (iDirect), a company of Vision Technologies Systems, Inc. (VT Systems), has completed a successful round of over-the-air tests on the Intelsat 29e satellite, leveraging iDirect’s next generation iQ Series remote. iDirect’s ground infrastructure platform and iQ Series modem technology, combined with Intelsat EpicNG satellites, yielded a throughput rate of 5.71 bps/Hz—another demonstration of the up to 330 percent efficiency performance gains on the Intelsat EpicNG platform. This allows iDirect and Intelsat customers to exploit the full capabilities of the DVB-S2X standard so they can more efficiently meet demands for high-speed bandwidth. The tests were conducted in Intelsat’s teleports from October 26-28, 2016, on the Intelsat 29e satellite, running on an iQ remote installed in Atlanta, and iDirect’s new Universal Line Card and Hub chassis installed in Mountainside, Maryland. The successful tests included the operation of DVB-S2X carriers with 64APSK, 128APSK and 256APSK modulation and coding, and roll-off factors of 5 percent. The user data tests demonstrated substantial efficiency improvements reaching an industry-leading 5.71 bps/Hz in throughput per remote. Artistic rendition of the Intelsat 29e satellite. iDirect recently announced its next generation DVB-S2X technology, which is based on a powerful, customized ASIC (Application-Specific Integrated Circuit) chipset that powers the new iQ Series family of remotes. The iQ Series is targeted for broadband, enterprise, and mobility applications and packaged in desktop, rack-mount, board level and embedded compute form factors that will become available over the next 12 months. The family of new remotes is software upgradeable to license-added network capabilities and higher throughput levels, reducing the cost of ownership and improving flexibility across a broad array of markets. This licensing capability eliminates the costs and complexities associated with swapping out the modem in order to enable higher performance and advanced features as end user requirements change. According to Mike DeMarco, the Senior Vice President, Operations, Intelsat, these milestone tests prove how the firm's goals of higher performance, better economics and simplified access can be achieved in operational networks. With iDirect’s iQ remote technology and Intelsat EpicNG capacity, service providers can transition onto our high performance network while leveraging their existing investment in hub infrastructure. This is an important achievement in enabling customers to expand their businesses into new applications and geographies and realize their future growth objectives. Wayne Haubner, the Senior Vice President, Engineering & Emerging Technologies, VT iDirect, added that with iDirect's release of DVB-S2X, network operators and service providers can unleash the full benefits of HTS today, while being equipped for even higher throughput levels that are anticipated with future satellite innovations.